Perhaps you'll recall the deceptively delicious croissant that Justina Yang was inspired to make after spying bark-like wrapping paper at an art supply store. Her creativity certainly didn't stop there... take a look at Justina's new and delightful 'making of'' video. Prefer a sweet treat? 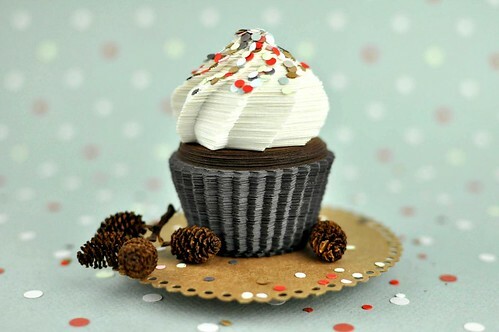 Justina hand-cut and stacked 300 layers of paper to whip up a convincing cupcake - frosting and sprinkles included. You can even forward it to your friends as a stop motion holiday greeting! Justina shows lovely ways to dress a festive table all winter long with paper bracelet napkin rings and wreaths. Print out the template and see exactly how to do the easy folds via this video. Justina, thanks so much for sharing the links with us. Okay...wow. I'm no more likely to make a paper croissant than a real one (tried it, way too much work!). Fabulous little film! Loved watching the "creations". They are fabulous. I think I could manage the wreath��. Happy New Year and keep up the great posts. Really enjoy the creativity you introduce from around the world. The videos are delightful to watch. 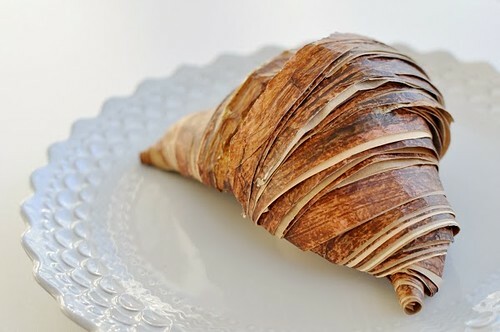 I love the making of the paper croissant. Thanks for your comments, everyone! I'm glad you enjoyed seeing Justina's projects. Phew, museum quality! How does someone keep this sort of art clean? A blow dryer or tiny paint brushes? I struggle with dust lol! 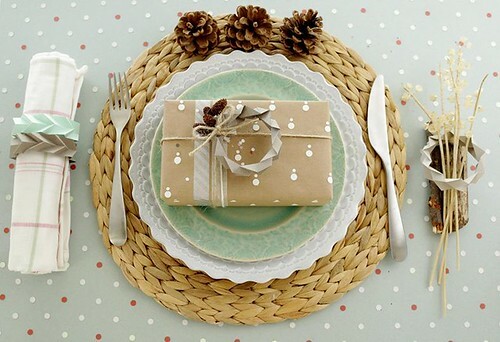 The way she has arranged the table made me think of how important imagination and attention to details are. No one but we alone can remind us to be as equally exciting and we should go the extra mile for the sake of beauty in life. What an amazing video of the paper croissant! I think so too, Sonya! these are amazing! i am in complete awe. Ann, as always you create and find us the most amazing photos and links to all the paper lovers around the world!